Poor cell phone reception and dropped calls are part of our day-to-day lives. While this is tolerable in some situations, if the place that you're not getting good reception is in your home or office, then that becomes a problem that you really need to fix, otherwise you risk missing important calls, dropping a call during a critical conversation or not having reception during an emergency. In this guide, we're going to discuss what causes a weak cell phone signal, poor reception, and dropped calls. Then we discuss what a cell phone antenna booster is and how one can be used to amplify your cell phone signal, improve reception, and eliminate dropped calls. There are typically two main causes of poor reception, either you're at the edge of your carrier's coverage area, or the materials used in the construction of the building that you're in are preventing a clear signal from reaching you. There are also situations where these two causes act together to cause reception problems and dead zones too. Cellular carriers provide cell coverage by setting up cell towers to broadcast and receive cellular calls from their customers. These cellular towers are strategically placed to provide coverage to the greatest number of potential customers. Unfortunately, the further you are from a tower, the less signal strength you'll receive, which means that there are large areas that get very weak signal which isn't strong enough to make or receive a call. We'll discuss in the next section how a cell phone antenna booster can help in this situation. Recently, there have been significant advancements in construction materials for homes and buildings, which help with energy conservation, reducing health risks, and more. One downside of these advancements, though, is that many of these new construction materials end up blocking cell phone signals from entering the building. Many people then find themselves in the situation where they get good signal outside of the house but lose their call when walking into their brand new home. This is also a situation where a cell phone antenna booster system can be an ideal solution. What is a Cell Phone Antenna Booster? A cell phone antenna booster (also known as a cell phone signal booster or a cell phone repeater), is a system which amplifies an existing cell phone signal and broadcasts it to an area which does not currently have good signal. A cell phone antenna booster system is typically comprised of an external (or outside) omni or yagi antenna, a signal amplifier, an internal antenna, and cable to connect all of those components together. The system works by having the external antenna receive a cell phone signal from the closest cell tower. It then passes that signal over a cable to the amplifier, which boosts the strength of the signal and then broadcasts it to the inside of the building via the internal antenna. Adding an antenna booster for your cell phone will solve reception problems experienced when you live or work on the edge of a coverage area. It does this by boosting the weak cell phone signal that you typically receive up to a usable level. Additionally, it's possible to use a directional outside antenna and aim at the closest cell tower, which would then result in an even stronger signal, since the system is now setup to interact directly with the tower. As long as you're able to receive one bar of signal outside while on the edge of a coverage area, then an antenna booster will improve your cell signal. An antenna booster can also solve the problem with construction materials reducing your cell phone reception. Typically the issue is that the signal cannot penetrate the external of the house, so an antenna booster will circumvent the construction materials by passing the cell phone signal over a cable from the outside antenna into the house (to the amplifier). The system boosts the signal for good measure, and then broadcasts inside of the house, effectively eliminating the obstruction by the construction material that causes interference. As you can see, an antenna booster is designed to solve both of these cell phone reception problems simultaneously, so even if you're faced with the situation where you're both on the edge of a coverage area and have a building constructed of cell proof materials, you can still have great signal inside when you add an antenna booster. Ultimately, you're looking for an antenna booster that supports the cell phone carriers that you use and which can cover the necessary square footage that you need to improve. We typically recommend starting your search based on your cell phone carrier, and then choosing the right cell phone antenna booster based on the current outside signal strength and coverage area. Otherwise feel free to browse our signal booster systems for homes, businesses, and vehicles. We also offer professional design and installation services, for larger or more complex projects. Finally, if you need to cover multiple carriers or have a unique situation that you'd like our advice on, we're always happy to talk and provide expert guidance. Please contact us with any questions and we'll be glad to help you find the right cell phone antenna booster to solve your cell phone reception problems once and for all. Anyone heard of the zBoost line? I have been researching signal boosters ever since I moved into my new home back in November. The reviews on CNET are strong but I wanted to get others opinions? Hello Brandon and thanks for your comment. 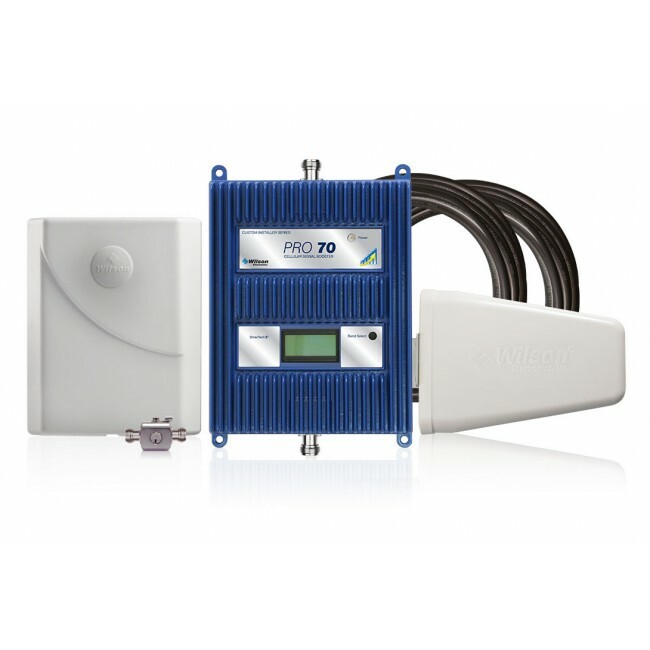 The zBoost line of signal boosters is made by Wi-Ex and they're a great entry level signal booster. 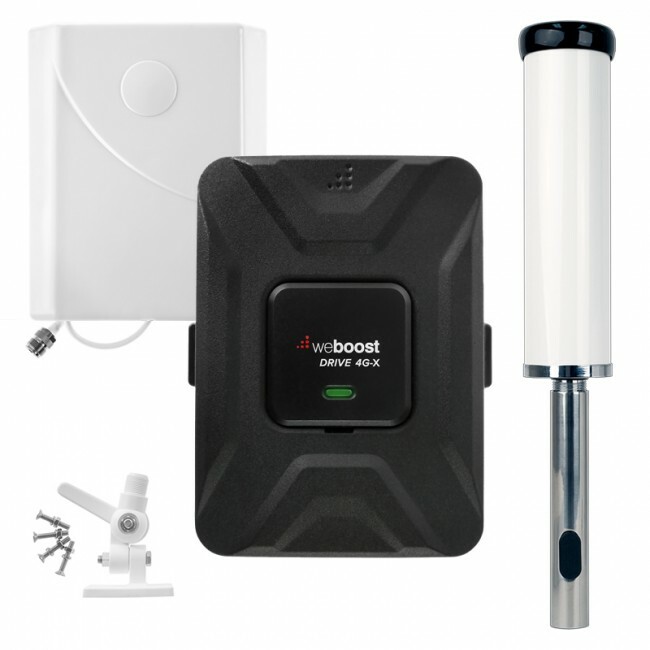 Check out our article and video about How to Install a zBoost YX545 Cell Phone Signal Booster (http://www.ubersignal.com/blog/how-to-install-a-zboost-yx545-cell-phone-signal-booster/). WE ARE FULL TIME RV'ERS, AND FREQUENTLY HAVE CELL PHONE/DATA CARD SIGNAL RECEPTION PROBLEMS, WHEN LOCATED IN REMOTE AREAS. I PLAN TO INSTALL A BOOSTER SYSTEM IN OUR AIRSTREAM TRAILER, USING A WILSON 801201 BOOSTER COUPLED WITH A WILSON 301104 NMO ANTENNA. AS YOU MAY KNOW, AIRSTREAM TRAVEL TRAILERS ARE CONSTRUCTED OF ALUMINUM,(TWO LAYERS OF ALUMINUM SKIN- ONE INSIDE-ONE OUTSIDE), WHICH SHOULD PROVIDE A DECENT SHIELD. IN YOUR OPINION, DO I NEED TO BE CONCERNED ABOUT OUTSIDE/INSIDE ANTENNA SIGNAL FEEDBACK ? HOW MUCH ANTENNA SEPARATION SHOULD I PROVIDE ? 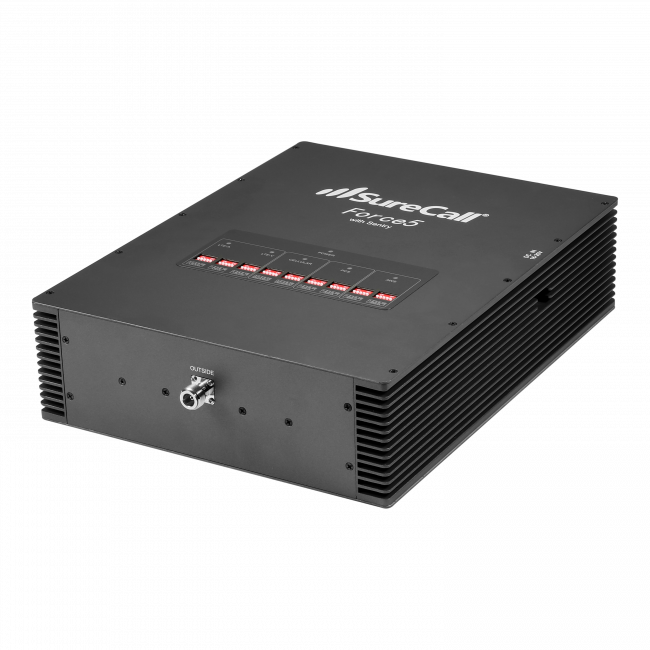 The 801201 is a fairly low-power amplifier and you typically only get coverage between 1 and 6 feet from the inside antenna. Because the coverage area is fairly small, I don't think you'll have any trouble with oscillation as long as you can get 8 to 10 feet or more of separation between the inside and outside antennas. The aluminum shell will definitely help as well. Like the last person, Bob, I too also live in an RV. I know a booster will help my poor inside signal as I only get 1 bar inside but 3 bars outside. My main question is to do with health concerns - does the booster or the continuous transmission of signals inside create any know health concerns? Are there any studies in this regard? I'm not a medical expert so I can't give you any health advise. What I can tell you is that in my experience, the power of the signal coming from a signal booster is roughly the same or weaker than if you're in a major city standing in the general vicinity of a cell tower (and they're everywhere in major cities). So having a booster in your home or car is no different than living somewhere with good existing cell signals. The other part is your cell phone. When your phone has a weak signal, it increases its transmission power to the maximum to ensure that it can communicate with the tower. With a booster, the signal is stronger, so the phone can use its lowest transmission power. I would rather have the thing next to my head using lower power than higher power. Lastly, no scientific study that I'm aware of has conclusively shown that cell phones have any negative health risks (besides maybe texting while driving, but that's different!). Again, I'm not a medical expert nor a scientist studying the effects of radio waves on the human body. I have a signal booster myself and am not the slightest bit worried about any negative health risks. I hope that helps! What is the top of the line booster? I need the best antenna that I can get. - Is this for a home, office, or something else? - How large is the space that you're trying to cover with a boosted signal (in sq ft)? - How strong is the existing signal when you're outside of the building (see http://www.ubersignal.com/field-test-mode for more information)? Based on that information, I'll have some more ideas of what might work best for you. Which mobile phone antenna work well at multipath propagation that I get it? To receive all of the reflected signals, an omnidirectional antenna would work best. If you have line of sight or want to concentrate on one of the reflected paths, a directional antenna would work best. Outside Panel antennas tend to work well with reflected signals. We have had a Wilson Soho dual-band amplifier for the past six years. It works only if you are standing right next to the unit. So, tell me how your booster is better. And at what cost? We are at the edge of a coverage area. Home use. ATT will have an existing signal but it is very weak. Nothing with Verizon. Trying to cover 200 sf. The coverage you get from a signal booster depends on multiple things including the strength of the existing outside signal and the power of the amplifier. So to give yourself more coverage you have a few options. First, you could try a stronger outside antenna, like a Yagi antenna. Second, you could try a stronger amplifier. If it's 6 years old, it's probably a single frequency amplifier and is no longer ideal, so I would recommend replacing it with a newer dual or tri-band system. I am building a safe room in my new home that will (I assume) have signal challenges since it will be built with concrete and rebar. What would the ideal solution be given that I would never be more than a few feet from the amplifier? Is there a problem with being too close? I will have very good signal outside, and I have the flexibility of placing the antenna on the side of the house, or up in the attic. Hello and thanks for the question. Some systems, like the Wilson Sleek, require your phone be touching the cradle, so being too close isn't a problem. Others require that your phone stay at least 18 inches away from the inside antenna and others require at least 6 ft. of separation. For a relatively small room, one of our entry-level signal booster like a YX545 or Wilson DT would be a great option. Hi Dan! Great article! I have an existing amplified antenna in my rv. It is a winegard rv-2005. It has coax running from the roof mounted antenna to an outlet that a tv is supposed to plug a coax cable in to. On the outlet is a button to turn the amplification on and off. Can this existing antenna be used for cell signal boosting? Hi! Great article! I have an existing amplified antenna in my rv. It is a winegard rv-2005. It has coax running from the roof mounted antenna to an outlet that a tv is supposed to plug a coax cable in to. On the outlet is a button to turn the amplification on and off. Can this existing antenna be used for cell signal boosting? Unfortunately no, TV antennas and amplifiers are designed for different frequencies which are not used for cell service. You would need completely different equipment to boost cellular service inside the RV. Let me know if there's anything else we can do to help. We have a deer camp in the country and I can get signal in some spots and no signal in other spots. Is there anything I can buy to hook up outside to try to get signal next to the camp. Yes, if you can get an existing signal where your would mount the outside antenna, then a signal booster can help bring that signal into the camp. 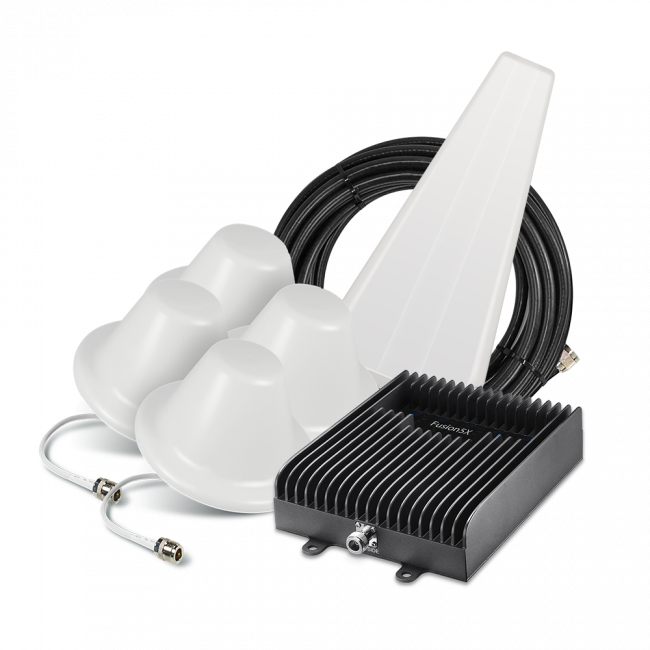 It sounds like your existing signal is very weak, so a kit with a directional outside antenna is probably the best option. From there, it's just a matter of how much coverage you want. With an entry level kit,you'll get coverage in on small room. With a larger kit, you'll get more coverage inside. Something like the zBoost ZB560SL REACH or the Wilson 462205 Dual Band DB PRO Yagi Kit is likely to work well for you depending on the size of the camp. I built a 80ft high tower to get Internet access. The tower is 150 ft away from my house and we had to install an underground wire to get to my computer router. It works fine. My question is : Could I use the same tower to install a cellphone signal booster ? What kind of booster would you recommend ? Unfortunately, 230 ft is too long for a typical outside antenna cable. With LMR400, you would lose more than 16 decibels in a run that long. You may be able to use a better cable like LMR600, but that gets very expensive. Instead, if you get any existing signal from the roof of your house, then mounting an antenna on your roof may be the best option. I work in a refinery. Our control building is blast proof, which basically makes it reception proof as well. Is there an amplifier system that we could implement without compromising the blast resistance rating of our building? Almost all of our signal boosters require an outside antenna and then running a cable from that antenna to inside the building where the amplifier and inside antenna would go. So if you can run a cable from outside to inside without compromising the blast resistance rating, then it should be possible. Let us know and we can recommend some systems. Am looking to combine my RV & vehicle needs while traveling cross-country. Would ideally like to install an antenna on the rear of my 5th-wheel and mount the inside antenna in the front (34' away) for increased reception while inside my parked RV, as well as inside the cab of my tow vehicle while traveling. I can keep the booster powered in both scenarios. Is this achievable? Thanks for your question. If you go with something like our Wilson Mobile 4G RV Kit, you'll get a complete vehicle kit that you could use in the truck while driving, plus an RV antenna that could be mounted permanently to the 5th wheel. Then, you would just need to carry the amplifier, power supply and inside antenna back and forth between the 5th wheel and the truck. We do not have any solutions that could cover the cab of the truck from the 5th wheel while driving. You would need to move the system back and forth between the vehicle and the trailer.